We use 256-bit SSL encryption for the transfer of all confidential information. The SSL Certificate is provided by Starfield Technologies. HID OMNIKEY 3121 USB Smart Card Reader. OMNIKEY 3121 is a CCID & EMV certified Plug&Play reader for PCs with USB 2.0 interface. Beside its easy installation, it reads memory- and microprocessor cards. OMNIKEY 3121 is designed to meet all major standards like ISO 7816, EMV 2000, Microsoft WHQL, USB CCID, PC/SC, HBCI (Home Banking Computer Interface), the PC-2001 Specification and many more. The usage within an application is based on standardized interfaces like PC/SC, OCF (Open Card Framework) or CT-API. The USB CCID support makes the integration in an existing system the easiest ever by connecting host and Smart Card Reader without the need of additional drivers. Light Standing Base (40 Gram ). Compatible with Linux, Mac OS X and Windows. Data Sheet - Detailed Specifications. In stock and ready for shipment. Ships same day if ordered before 4 p.m. EST. "SCB Solutions sent product quickly and in good condition"
"Great item. Fast shipping. Thank you." "Fast delivery. Product as expected." "Love it!! It’s tiny, portable and fits right in my keychain and most importantly works like a charm!" "Quality product delivered as advertised." "Worked perfectly & easy to set up." 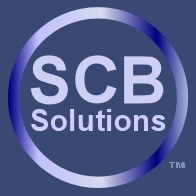 "Even though I never received my item, I'm still thankful that SCB Solutions offered a refund without fail"
Monday 22 April, 2019 11179561 visitors in the last 12 months. Copyright © 2004-2018 SCB Solutions, Inc.
Powered by SCB Solutions, Inc.